During the past 30+ years, I have acquired a number of self-imposed, positive passions - others who know me sometimes refer to my passions as "obsessions." The Webster's Dictionary defines "obsession" as "a persistent. disturbing preoccupation with an idea." Whether defined as "passions" or "obsessions" they are what keeps me reading, researching, viewing film documentaries and writing on a daily basis. In fact, it is these passions that motivate me to action while others worry, complain, stagnate and spin their wheels in a desperate effort to survive. My key passion is learning new knowledge and sharing it with others. In this pursuit, I have learned that "every day I learn how little I know." Another passion is to challenge and expose our existing, orthodox institutions which are failing miserably. (eg. economics, religion, education, politics, pharmaceutical medicine, law enforcement, universal social programs etc.) Yet another passion is to live the "regeneration lifestyle" by consuming local, organic foods supplemented with herbal food concentrates and herbal beverages while seeking naturopathic advice - when and if needed. Other passions are to expose the truth about "usury," "taxes," and "history" - though the truth is often unpopular. Yet another couple of burning passions within all of these obsessions are (a) the usuryfree community currency movement which is becoming more popular with local shoppers who are committed to changing the way they spend their money and (b) the SDI (Self Directed Income) industry - otherwise referred to as the Network or Multi-Level Marketing industry. This unique and powerful concept of marketing has unlimited potential as we progress into this 21st Century. I daresay that when the SDI industry is twinned with the usuryfree time currency movement it will make a giant-sized contribution to the health, wealth and happiness of countless millions worldwide - since within this unique, marketing industry large databases can be easily connected and re-educated with the click of a mouse. The truth about modern economics can potentially be networked rapidly to multiple millions through the vehicle of the SDI industry and debtors everywhere who are seeking freedom from the monthly "usury" payments being exacted on their loans and/or mortgages as well as credit cards. More and more debtors are motivated to escape from the failing Babylonian economic system of usury-based, debt money as they shift their consciousness in the hope of enjoying peace, prosperity and abundance. It is reasonable to assume that most people either have children or grandchildren or at least nieces and/or nephews. Is it appropriate to suggest that all debtors would benefit from practical economic information as this current recession deepens to a Grand-daddy Depression of this 21st Century - whether for themselves or for others within their respective circles of influence. Are you asking questions and questioning the answers of the formally educated financial experts? Are you anxious to share the "truth" about "usury" with your children, grand-children, nieces and/or nephews? What is needed to accelerate the learning curve is an innovative company to pioneer a simplified, marketing plan adapted from the proven and workable models within the SDI industry. The article "Twinning Triple Trends" offers some ideas in this regard. Such an innovative SDI marketing plan would ensure that multiple millions of debtors could be re-educated very rapidly. The unique concept of twinning ideas from the SDI industry with ideas from the usuryfree community currency movement would be appreciated by multiple millions of willing participants. The reality of usuryfree living would proliferate and expand worldwide at a rapid rate. Debtors must be re-educated with the truth about modern money creation. Willing learners must multiply and duplicate their newly acquired knowledge at a rapid rate for usury is playing a major role in the financial destruction of individuals, family units, local businesses, municipalities, provinces/states and entire countries. For the sake of your children and grandchildren, nieces and nephews and indeed, debtors everywhere, I encourage readers to make some of my passions your passions during 2013 - the Year of UsuryFree Living. 1. Re-educate yourself on the truth about our (or should I say "their" - the bankers') faltering and failing, orthodox, economic system of usury-based, debt money. 2. Familiarize yourself with the SDI industry and make an effort to comprehend the mutual benefits to all who would choose to participate if and when and SDI company takes a leadership role to launch a software program that permits consumers to purchase products and/or services using a portion of a usuryfree time currency as a complement with federal cash. Also, read, follow and share information posted at The SDI Eye Opener, The UsuryFree Eye Opener and The UsuryFree Network to keep yourself, your family and friends updated on the evolution of worthwhile economic alternatives as our orthodox economic system crumbles to oblivion. 3. 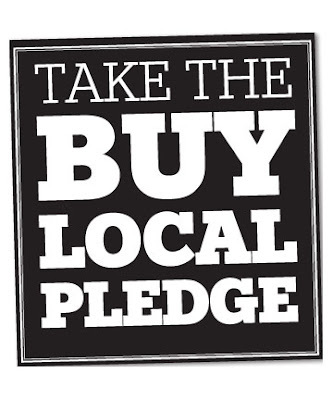 Commit to buying local, organic products when possible. Embrace the shop local movement and know that many quality products are now being offered by SDI entrepreneurs in your neighbourhood who operate part-time and/or full time enterprise(s) from their homes. 4. Seek ways to immediately evade usury and avoid taxes. Yes, it is still legal to evade usury and it is legal to avoid taxes - though it is illegal to evade taxes. It is important to avoid taxes simply because the majority of tax dollars extracted from one's earnings goes directly to pay debt service for the various levels of government. Debt service is correctly defined as usury. An example of a creative strategy to avoid taxes would be for every employee or salaried individual to launch a part-time, home-based enterprise within the SDI industry. As an active SDI entrepreneur, one qualifies to deduct legitimate business expenses, not commonly available to employees or salaried individuals and you get access to products at wholesale prices that you can re-sell to consumers and agree to accept a portion of any usuryfree community currency with a portion of federal cash. More relevant details in this article: "Tax Benefits of an SDI Enterprise."